Along with the great help of the one and only Dave Hagen, I’m excited to invite all of you local bike racers to the Durango Dirt Derby series! After asking people around and putting a lot of thought to it, I came up with the idea of a dirt-driven workout that will be fast, intensive, approachable to most racers levels and most importantly – FUN! This local group ride is offered under FLC Cycling Team and it is OPEN AND FREE FOR ALL! Just like the Wednesday cyclo-cross practices. All we request is that you sign the waiver available on-site before you jump for the ride in with us. You can expect track-style mini-races that will keep everyone on their toes: team pursuit, team relay, miss and out, brackets, points, hot lap and more. I will personally lead the workout and decide on race formats and divide teams according to how many strong and stronger people show up. I will do my best to make it a workout that best fit all: whether you are a fast DEVO U17er, a local masters category racer, or racing pro on the world cup circuit. That applies to both ladies and gentlemen. I will greatly appreciate post-workout feedback. There will be 5 events this summer, every other Thursday starting this week 6/14, 6/28, 7/12, 7/26 and Derby finals on 8/9. 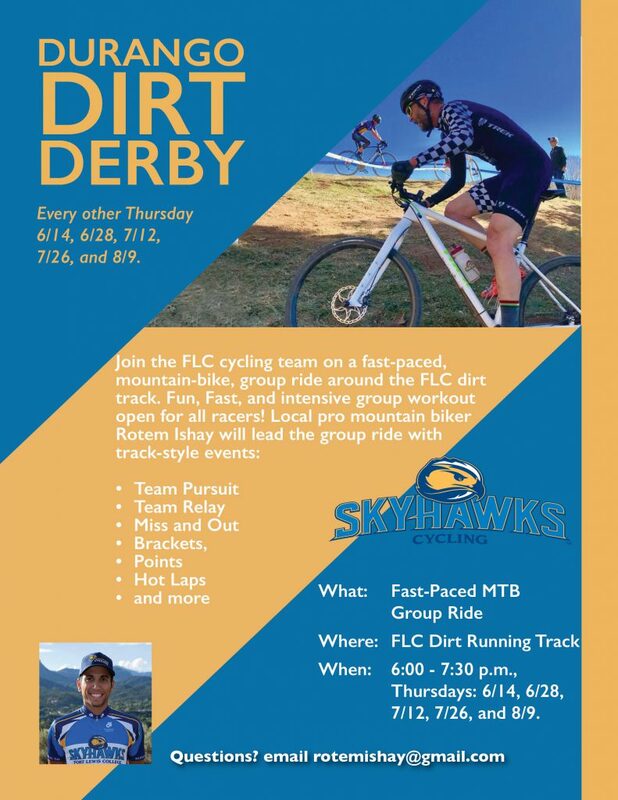 Meet us at the FLC dirt running track 6pm, we will ride around the track for 10-15 minutes to assess who many show up and start the first mini-race. We will have multiple mini-races and finish up around 7:30pm. If you are hesitant whether this fits you or have any other questions, feel free to email me.